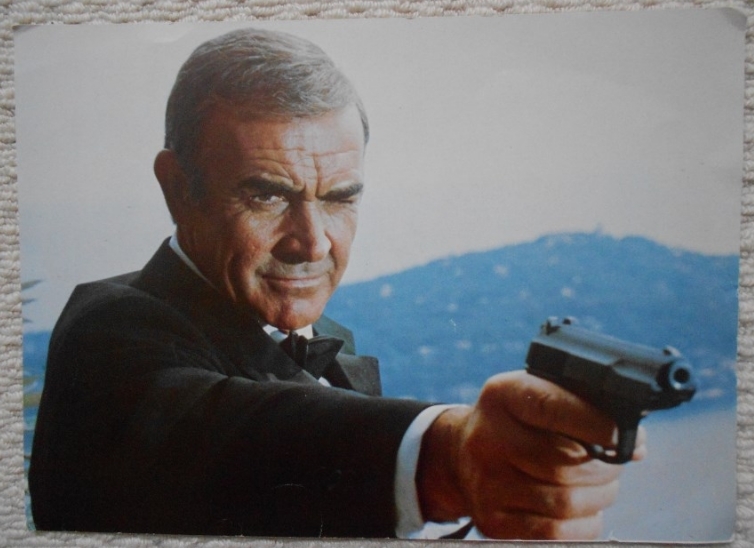 Oversize Photo ( Possibly a Foreign lobby card) showing Sean Connery as James Bond 007. This photo is in VG- condition and measures 9.5" x 13". The still has some creasing and bumps.